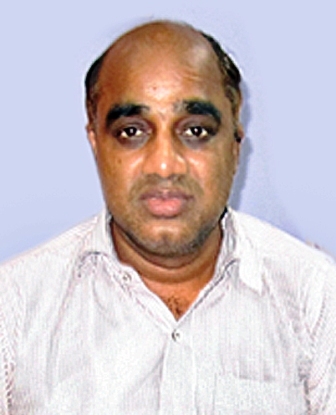 Senior Divisional Mechanical Engineer (Diesel), Andal, the administrative head of Andal Diesel shed in Asansol Division/Eastern Railway. He is overall in-charge of Diesel loco maintenance and is assisted by two Divisional Mechanical Engineers, three Assistant Mechanical Engineers, one Assistant Material Manager and one Assistant Chemist and Metallurgist. The shed is maintaining a passenger link of 12 locomotives. WDM3A&WDG3A locos are generally being offered for MU operation in goods services. While WDG4 locos are offered single for Goods service. The shed is running 33 WDG3A in 30 days and 18 WDG4 locos in 90 days schedule periodicity. Andal based locos are generally working through UDL-SNT and UDL-JSME section of ER to NFR, ECR, NCR, NR and NWR circuit. 7. Homing Capacity: 120 locomotives. Two DMU rakes have been working in UDL-SNT and UDL-JSME section. 9. Other History (Not more than 4 lines):- 30 new HHP locos are to be added to Andal Diesel shed in FY 14-15. 18 nos. have already been added to Andal Diesel shed. 5. Total Area : 135000 Sq.mtr. 6. Covered Area : 18500 Sq.mtr. 10. Educational profile of staff : Data not available. A special drive has been taken for shed cleaning by a team of staff, supervisor and officer of this shed. They are also involving themselves physically in cleaning of their respective sections. 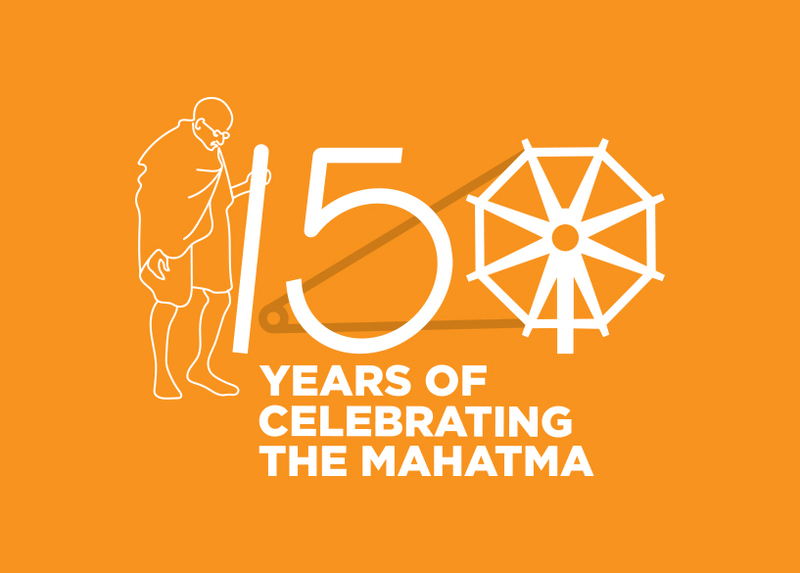 Utilization of cleaning will not only ensure free pollution but also changing of environment in working place. Tappet & timings checking is a vital item for time setting of Cycling/Firing order of locomotives. A new Gadget has been fabricated and commissioned in house by diesel shed Mill-Wright section for checking of Tappet & timings for newly received WDG4 locomotives. Utilization of this checking Gadget will ensure proper tappet timings as well as loco reliability. 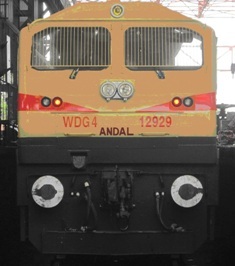 Andal Diesel Shed has developed an Hydraulic puller for pulling and pushing of Traction Motor Pinion in WDG4 locomotive. With this puller we are able to put pinion in one of SIEMENS T.M. in our shed. Green plantation at Andal Diesel shed is an important and precious work. 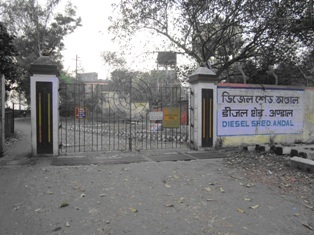 This is a place where day to day maintenance works of Diesel locomotive take place causing air pollution in shed premises. A special drive has been taken for green plantation by a team of staff, supervisors and officers of this shed. They are also involving themselves physically in green plantation during their leisure. This is one of the successful events ever held in shed. Utilization of green plantation in shed will not only ensure free pollution but also changing of environment in working place. 1. S/H Left side Bearing Plate welding crack about 70 Cms. and chassis crack in several positions 5 Cms. to 70 Cms. 2. Rear Truck L/S chassis crack and bearing plate welding crack. 3. FTTM Blower Bottom Air Channel crack. The team from JMP Workshop came and that this is not possible in insitu condition. Staff and supervisors took the work as a challenge and instead of sending the loco to shop for special repair it was decided to weld all crack locations by ‘V’ cutting and welding by low hydrogen electrodes etc. Crack portions of FTTM Blower Air channel which was difficult to arrest the proper locations, made easy by the shed staff using mirror in hallow area of Air duct. After completion of successful welding job the loco was made ready for service. A test Bench has been fabricated and commissioned in house by Diesel shed Millwright gang for testing of MUI injector in WDG4 locomotives, such as Operating pressure, pressure dropping, leakage, chattering sound etc. Introduction of this gadget will ensure reliability in Fuel oil system of WDG4 locomotives as well as ensure avoiding premature failure of locomotive. Piston Puller for WDG4 locomotives has been fabricated and commissioned in house by Diesel Shed Millwright gang for lifting of Piston after dismantling from HHP locomotive. Previously there was no Piston pulling / lifting arrangement for HHP Locos in shed. Introduction of this Piston puller / lifter will be ensured reliability in HHP Locomotive.